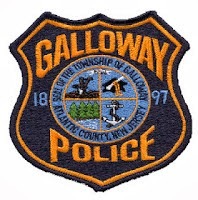 Galloway Township Police responded to 718 calls for service during August 10, 2014 through August 16, 2014. Additional statistics include: 3 Burglaries, 22 Motor Vehicle Accidents, 69 Tickets issued, 1 Driving While Intoxicated, 28 Arrests, 7 Domestic Violence, 11 Fire Calls, 9 EMS Calls and 1 Juvenile calls. Francis J. Crowley, 21, of Pleasantville was arrested by Ofc. Fenil Gandi for possession of less than 50 grams of marijuana and possession of drug paraphernalia on August 11. Tariq L. Alexander, 21, of Philadelphia was arrested by Ofc. Vincent Ceci for assault by auto while DWI and improper behavior on August 13. Grant E. Friedland, 37, of Ocean City was arrested by Ofc. Scott Winneberger for disorderly conduct on August 13. Joseph W. Putnam, 22, of Galloway was arrested by Ofc. Kevin Costa for hindering apprehension on August 13. Ruben V. Gonzalez, 49, of Atlantic City was arrested by Det. Bryan Casey for burglary, theft, and receiving stolen property on August 13. Paul L. Benitz, 38, of Somers Point was arrested by Ofc. Dominic Fabrizio for receiving stolen property on August 15. Four (4) juveniles, (2) male and (2) females, all age 11, of Galloway were charged by Ofc. Scott Winneberger for violating curfew and one of the boys was charged with possession of an imitation firearm on August 16.